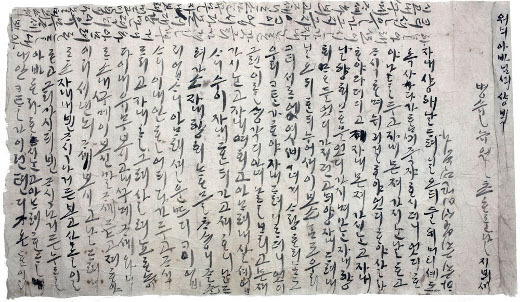 The love letter was written by a pregnant woman to her deceased lover – Eung-Tae Lee. It was discovered in a temple in Andong, South Korea. The man belonged to the clan of Goseong and he had died long before his beloved, at the age of 30 years. The letter has been lying on the man’s chest since 1582. His pregnant wife left it there after his death. 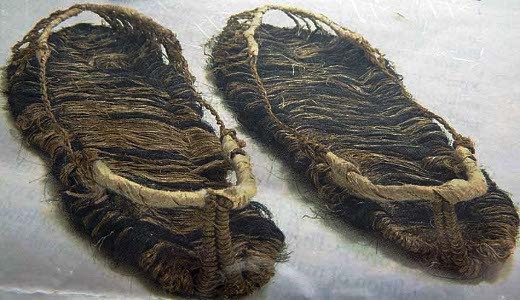 The sandals taken out of the grave were made of hemp and wife’s hair. You always said, “Honey, let us live together until our hair does not grey and we do not die on the same day.” How could you leave without me? Who do I and our little boy should listen to, how should we live? How could you leave before me? How can you bring me your heart, how can I give you my heart? Whenever you stayed up with me, you said, “Honey, do other people love and appreciate each other as we do? Are they like us? “How could you leave it all and go away without me? I just cannot live without you. Take me to you. My feelings make I cannot forget about you and my sadness has no boundaries. What to do with my heart, how to live with the child without you? Please take a look at this letter, please reply in my dreams. Because I want to hear what you’re saying in my dreams, this is why I write this letter and leave it here. Read and answer. A child is growing inside of me, who will be called the father? Can anyone understand how do I feel? There is no tragedy like this one in the open air. Love is timeless. Love from centuries ago is the same as that which we share today. It’s amazing and invaluable power. You Will Never Believe What Happened… You Will Be Shocked Reading This Story! They came to the vet and demanded their dog be put to sleep. Their reason for this decision, was that the dog was … too ugly! There were no illusions about this child. Doctors pronounced him dead, but 12 minutes later his parents witnessed something incredible! Pretending To Be Asleep, She Recorded Her Baby! This Is Probably The Funniest Movie I’ve Seen So Far! I Considered McDonald’s Restaurants For Trashy Monsters Destroying The Environment. These Buildings Have Changed My Mind!